You are currently browsing the tag archive for the ‘JM Coetzee’ tag. As has become a bit of a tradition around these UTC parts, the following is not a list of books that I consider ‘the best of the year’. Rather it’s a list of books I’ve read in the past twelve months that have had a personal impact in some way or another, either as a writer or reader, or just because they’re remarkable books no matter how you look at it. Also, not all were published in 2014, but in the world of literature that hardly matters, surely. 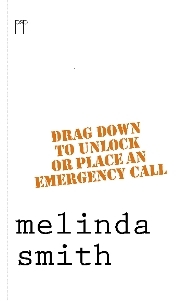 They say short stories and poetry are close cousins, so let me now mention Drag down to unlock or place an emergency call by Melinda Smith (Pitt Street Poetry, 2013). 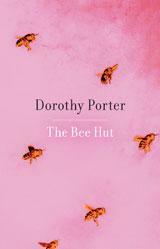 For 20 years the Canberra-based Smith has been exploring her craft and being published in the smallest of presses. Then the highly regarded small press Pitt Street Poetry (talk about a micro publishing enterprise that’s punching well and truly above its weight) sent into the world Drag down to unlock or place an emergency call and Smith bags the 2014 Prime Minister’s Prize for Poetry. Divided into sections such as ‘Uploads’, ‘Downloads’, ‘News’, ‘Sport’, and ‘Weather’, what appeals the most is the combination of artfulness and accessibility. Some poems can be understood on first readings; others are more enigmatic. But all are magical and musical, and many are very affecting indeed. Drag down to unlock or place an emergency call should be in all Australians home. Maybe it should be handed out with tax returns. 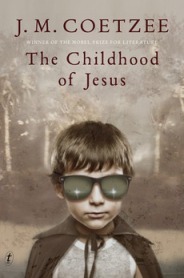 The Childhood of Jesus by JM Coetzee (Text, 2013). As regular visitors to UTC will probably be aware, I’m a fan of JM Coetzee, the novelist from South Africa who has twice won the Man Booker Prize and now lives in South Australia. 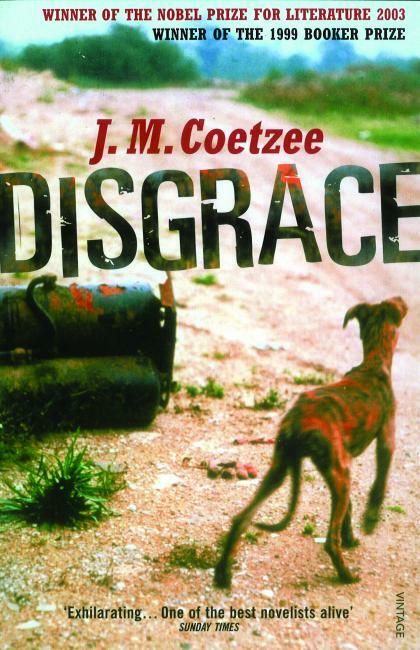 His Disgrace (1999), which scored the second of his Bookers, is a perfect though harrowing novel about a person, a people and a nation (or a range of nations) in absolute turmoil. I’ve also thoroughly enjoyed his fictionalised autobiographies, Boyhood (1997), Youth (2002), and the more playful Summertime (2009). Playful is a good word for Coetzee, who despite being a serious literary practitioner seemingly likes to do nothing more than toy with readers and their expectations; rarely does he appear intent on just telling a story. This marks Coetzee as difficult, but his prose is simple, at least on the surface, and, in most cases, the complexity is in the layers. Having said that, The Childhood of Jesus is an an odd and slightly underwhelming novel. In some ways it seems to be responding to Australia’s morally dubious approach to asylum seekers, and in other ways just meanders along not entirely sure where it needs to go. If it is indeed an allegory it’s a vague one. Still, it had an impact on this particular reader, if only because Coetzee seems to not give a damn about trends and markets; as an author, he is progressing his craft on his own terms. 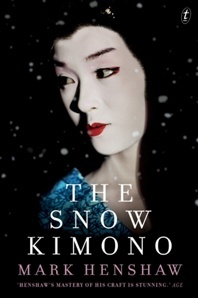 The Snow Kimono by Mark Henshaw (Text, 2014). Like Coetzee, Henshaw appears to enjoy the art of the novel as much as the art of the story. Like Coetzee, Henshaw’s work is about the layers. Unlike Coetzee, Henshaw is not prolific. 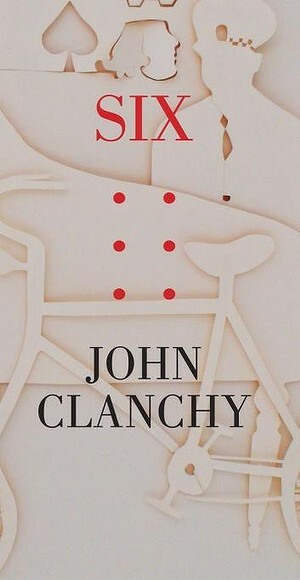 His first novel, Out of the Line of Fire, was published in 1988 and since then he has co-written two commercial thrillers with John Clanchy (as JM Calder) but no literary works. An intriguing overview of Mark Henshaw’s career can be found at the Sydney Review of Books. The Snow Kimono is a duel narrative, though in reality it has more strands than that. In its review, the Guardian Australia does a fine job of distilling the plot: ‘One night in Paris, in 1989, retired inspector Auguste Jovert receives a letter from a woman in Algiers claiming to be his daughter. A chance encounter with a stranger – Tadashi Omura, former professor of law of the Imperial University of Japan – suddenly finds him entwined in the stories of Omura’s best friend, the arrogant and brilliant novelist Katsuo Ikeda, and the lives of three Japanese women, Fumiko, Mariko and Sachiko.’ The review goes on to define The Snow Kimono as a ‘philosophical puzzle’. It’s an apt description. 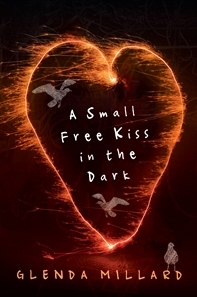 I loved this novel. 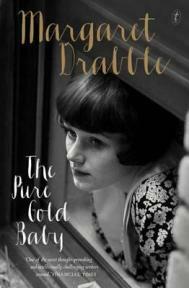 The Pure Gold Baby by Margaret Drabble (Text, 2013). I was provided this novel to review so I read it in that context. The review didn’t eventuate (the world had moved on), but I found myself engrossed in this novel, which, similar to Coetzee’s work perhaps, meanders through its various sections though never fails to keep the reader engaged. Set in England in the 1960s, the narrative follows a young anthropology student who becomes a single mother after an affair with a colleague. This was my first Drabble and what struck me is the sense of a novel being ‘a directed dream’ (as others have said): the pleasure is in the looseness, the sense of allusion, an appealing lack of interest in traditional plot, and sentences that pulse almost painfully with life. Challenge (MUP, 2014) by Paul Daley. Daley is a high profile, Walkey-winning Australian journalist who currently writes for the Guardian Australia. Challenge is his first novel. And a challenge it is. It’s a brutal, at times confronting exploration of the current state of Australia’s political system. It is a fiction, but it doesn’t take much for the reader to link characters and events to their antecedents. In essence the plot follows, Daniel Slattery, the leader of a slightly progressive party in opposition. Daley himself describes Slattery as a cross between Mark Latham and Holden Coalfield, which is quite something, all things considered. Slattery’s political capital is diminishing and his personal life is falling apart; meanwhile the prime minister is milking a potential terrorist threat. 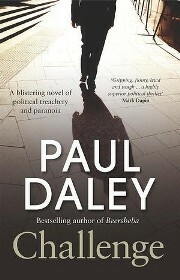 There is a thriller element to Challenge, but the joy (if that’s the best way to put is) is the way Daley makes his readers realise how toxic Australian politics has become. If only 5% of this novel is true, we’re fucked. 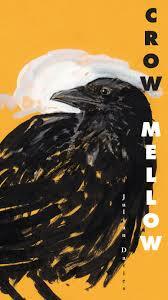 One of the year’s most left-field but highly readable novels is Crow Mellow by Julian Davies (Finlay Lloyd, 2014). This is a rewriting of Aldous Huxley’s first novel, Chrome Yellow (1930), a work that Davies admits in his foreword had a significant impact on him when he was a teenager. In Crow Mellow, a group of artists and intellectuals gather for a weekend at Crow, a bush retreat. Interesting that Davies, who is the key publisher behind Finlay Lloyd, lives in a bush retreat where artists and intellectuals gather, so it’s easy to see why the Huxley original had an influence on the young Davies. Again, it’s the playfulness of the whole exercise that’s so appealing, made even more evident by the drawings by Phil Day that adorn every one of the 400 or so pages. An original, eccentric, and highly enjoyable piece of work. 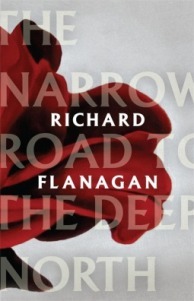 The Narrow Road to the Deep North by Richard Flanagan (Random House, 2013). Enough has already been written about this novel that has won many of Australia’s and the world’s literary awards, including this year’s Man Booker. A Second World War novel, it focuses on the Australian servicemen pushed beyond themselves on Burma’s ‘death railway’. What works best in the novel is Flannagan’s lack of judgement and the commitment (to a certain extent at least) to showing both sides of the story – the Australians who were subjected to such harsh and degrading treatment but also glimpses into the lives of the Japanese guards. 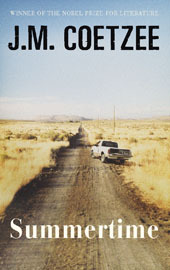 The novel also provides an exploration of how these men tried to get on with their lives once home. Readers will be aware that this novel isn’t universally loved, with some critics citing the overt jingoism as being a distracting element. Personally, there are many scenes in this novel that I continue to think about and no doubt I will revisit it years down the track. What I’ll think then is anyone’s guess. Other works that have been a source of interest and/or inspiration this year include selected poem collections from Rosemary Dobson (1973) and David Campbell (1978), Beneath the Wheel by Hermann Hesse (1906), The Gold-Rimmed Spectacles by Giorgio Bassani (1958) (both the Hesse and the Bassani are excellent examples of short novels), The English Patient by Michael Ondaatje (1992; the perfect novel about war due to the poetry in the prose) and As I Lay Dying by William Faulkner (1930), which stumped me on first read a few years ago but for some reason made complete sense in 2014.